Lesotho Kingdom Walk Raises £4,500! 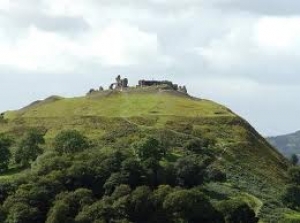 On Monday 14 July all pupils took part in a sponsored walk up Castell Dinas Bran in aid of our schools link with St Saviour's school in Lesotho. We are delighted to report that £4,500 was raised which will go towards funding pupils and teachers from Lesotho to visit us next year. Members of the Lesotho Commonwealth Team, who are training in Wrexham, met us there and sang the Lesotho National Anthem at the top!